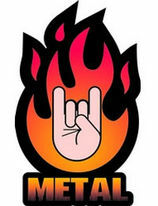 We are looking for Partners and Supporters for Metal Shock Finland. Besides the traditional link-exchanges, we would like to propose you a fast and effective way to bring awareness of Your offered services, activities, events ecc. among Metal Shock Finland -worldwide readers, by banners and publishing Your latest news, on the Metal Shock Finland -frontpage. Our Mailing List -service reaches also those readers who cannot visit our site every day. If our proposal interests You, please contact: Tarja Virmakari (metalshockfinland@rocketmail.com), so you will receive a proposal, to respond in the best possible way your needs.